Sandra Reeves is a wonderfully creative, multi-talented artist, but more than that she is a beautiful Spirit, a good friend and one of the greatest blessings in my life. She is the most caring, open-hearted, giving person that I have ever met, and truly deserves an abundance of blessings in her life. 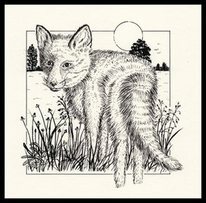 At the bottom of this page is the story of how we met, but first I would like to share with you a sample of Sandra's artwork. Over the years that I have known Sandra Reeves, I have seen her 'turn her hand' to so many different forms of art. 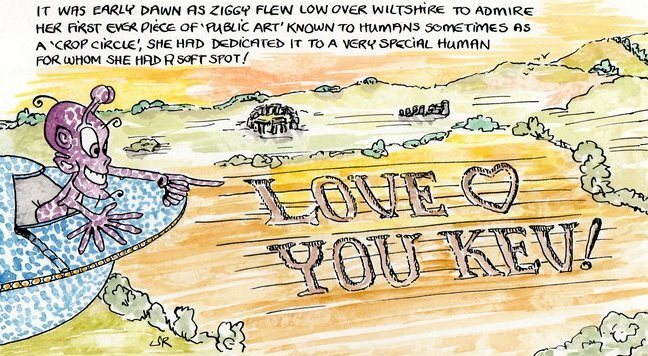 From sculpting with wire or copper, illustrating for greetings cards, books, magazines etc.., decorating people's walls with murals, nature photography and creating her own range of jewellery, the list just goes on and on. Her imagination never falters in providing her with an abundance of ideas and between commissions she is always working on new and original techniques. 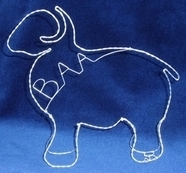 Her work reflects her love of spirit, nature, animals, optical illusions and humour. 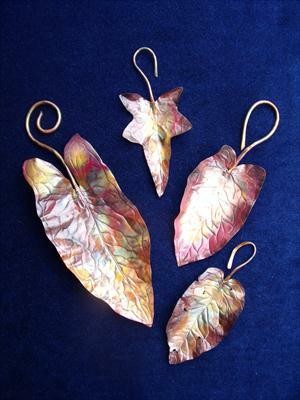 Sandra's copper leaves are a popular choice at shows and exhibitions. They are all unique, two of a similar shape will look quite different because the colouring develops as she works on them with a gas torch. Sandra then lacquers them to retain the beautiful iridescent colours of the copper. 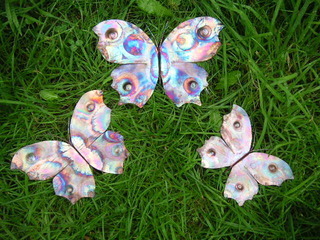 These beautiful butterflies come in a wide range of shapes and sizes, creating a colourful addition to your home or garden. 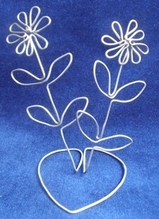 They are also available as charming bespoke brooches or pendants, sometimes incorporating silver. 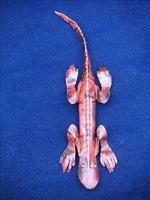 Children and adults alike love this lizard which Sandra Reeves has produced in a variety of sizes. 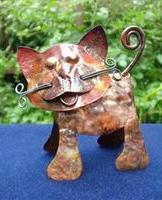 Sandra also loves to create moveable sculptures such as this little cat with a tiltable head. 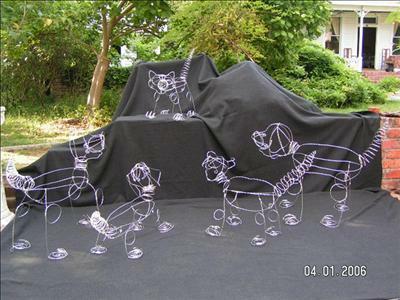 A few years ago Sandra Reeves was able to spend several days training with a renowned Italian Chasing and Repousse Master. 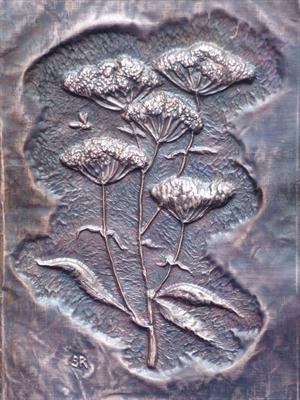 Since then she has continued to develop her own techniques and produces amazingly detailed chasing and repousse work. 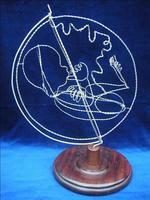 For anyone (like me) who has never heard of chasing and repousse it is a metalworking technique in which a malleable metal is ornamented or shaped by hammering from the reverse side to create a raised design on the front. 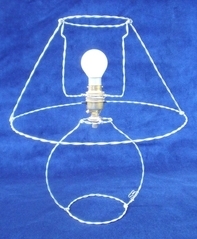 Chasing is the opposite technique and used on the front of the work to refine the design. 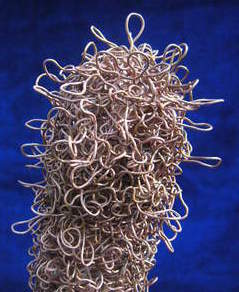 Sandra Reeves has created a vast assortment of wire sculptures, this is just a small sample from her collection. 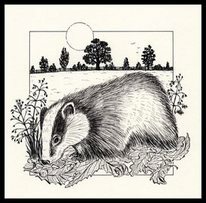 The animal kingdom is a great source of inspiration for Sandra, this collection of nocturnal wild animals of Britain was drawn several years ago. 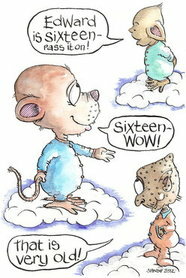 You will find many other illustrations throughout this website. 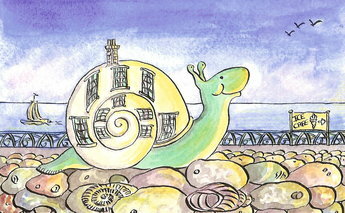 There are other many examples of watercolour painting on this site but here is one that I haven't included yet. It is of Stokesay Castle which is situated in Shropshire England (near the Welsh border). 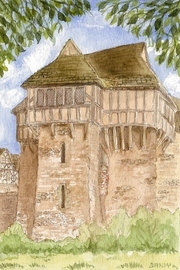 Stokesay Castle is a well-preserved example of a fortified manor house. 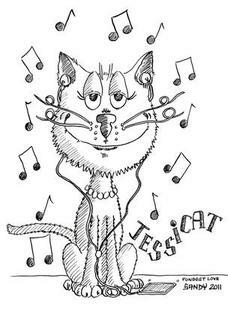 Sandra Reeves loves to relax by drawing cartoon-type characters, I have spent some time with her when she is doing this and I am always amazed at how naturally she creates fun and interesting drawings. 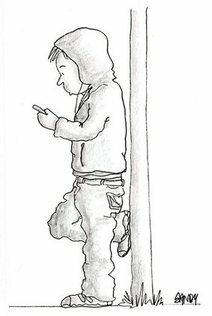 One of the advantages of having a brilliant artist as a close friend is that you receive such wonderful, original, personalized illustrations. These are a few of the delightful illustrations that Sandra has given to family and friends (and that I have managed to get hold of!) 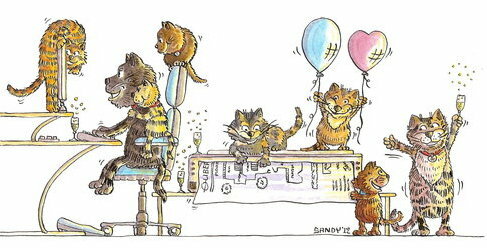 Sandra often surprises us with her observational humour and when needed she always manages to portray the character of the recipient really well. 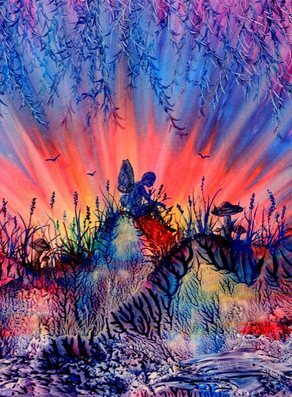 To see many more of Sandra's illustrations, cartoons and watercolours take a look at the illustrated spiritual quotes page. My personal favourites of Sandra's work is her encaustic art (working with wax). The two designs shown here Sandra produced in the late 90's and are ones that I can enjoy looking at often as I am lucky enough to own the originals. Sandra handcrafts each piece of her unique range of jewellery. The photos here show a lacquered copper dragonfly brooch and a hammered and hatched silver ring. 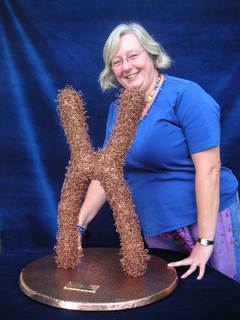 Sandra has also designed a new copper/silver fusion range and also has her own Hallmark-London. 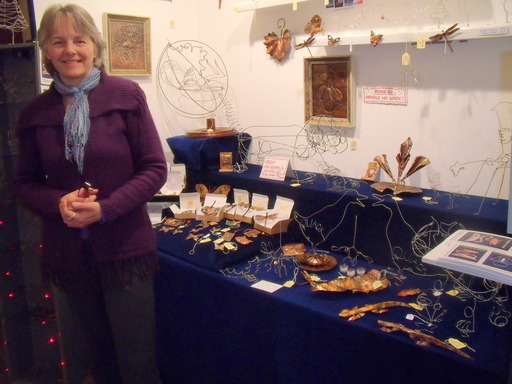 Sandra Reeves has had many commissions of the amazing diversity of her creative work. These are a couple of the more unusual requests. 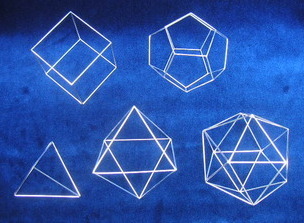 In 2008 Mathematician Professor John Griggs Thompson, of Florida University and Cambridge, commissioned Sandra to construct a set of five platonic solids made from silver plated stainless steel. Sandra loves a creative challenge and this one certainly was as each one had to be perfectly precise. Professor Thompson was so delighted with the results that he asked Sandra to produce another set which he presented to Yale University for display. It was in 1995 that we first met, I had recently read a book about Findhorn in Scotland where, years before, some people had connected with nature spirits and grown amazing vegetables. I was wondering how I could find out if it still existed, (no internet in those days!) My latest read was The Celestine Prophecy which was about 'coincidences' and how when we meet people it is to share something (and many other interesting things). My husband (now ex) first met Sandra through his work and it wasn't long before he took me to meet her. I was amazed to find out that she had been to Findhorn and told me all about it. She also introduced me to Eileen Caddy's books (Eileen was a co-founder of the Findhorn Foundation), most especially the wonderful 'Opening Doors Within' which is an uplifting collection of chanelled daily readings, offering guidance on the ever present connection with Source/God, it also is very much about the law of attraction, but until recent years I didn't 'notice' this. Within a couple of months, my family and I moved to be living a few doors away from Sandra, the move was so that my husband could help out with the organic farm situated in the village, but within a matter of months my marriage ended and I stepped into a new phase of my life. At the time I was devastated, but now I so clearly see the mighty power of the Law of Attraction was working to bring me to like-minded people, most especially Sandra. Over the years Sandra has continually amazed me with her constant occurrences of what we used to call 'coincidences.' One that comes to mind is of when she was a long way from home and walking along a tall hedge. During the day someone she hadn't seen for a very long time was on her mind, and then as she passed a gap in the hedge, at the same time, that particular person walked past the gap on the other side, both were miles away from there respective homes and the other person did indeed have important news to share with Sandra. Anyway, around 2009 I had started to become more aware of the Law of Attraction with it coming up in more and more with what I was reading and watching online. I watched 'The Secret' and some other videos, but still did not act on what I was learning. It wasn't until months later that Sandra mentioned to me that she'd watched 'The Secret' and wanted to discuss and explore the principles of the Law of Attraction, that it suddenly 'clicked' into place!!! From then on I was compelled to watch, read and listen to more and more of the teachings of Abraham-Hicks. Sandra and I both consider Abraham material to be the purest source of Law of Attraction guidance. Through following their teachings I started this website and began taking nature photographs for my Facebook page. Which in turn led me to begin to appreciate more and more the abundance of beauty, love and joy that surrounds me. Sandra has also made amazing changes to her life and the lives of other people close to her since absorbing the teachings of Abraham-Hicks. 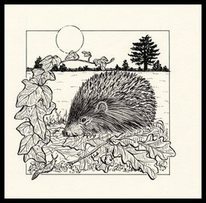 Sandra now concentrates on her illustrations and has recently created a new website: Sandra Reeves Illustrator where you will find an abundance of various illustrations and watercolours. 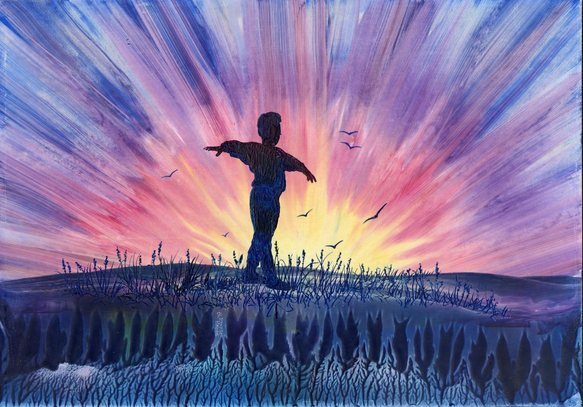 Sandra is always willing to discuss any illustrations that you would like her to design for you, contact her directly through her site and please let her know that you found her via Spiritual Quotes To Live By.